Early Bird Registration Now Open through February 8th, 2019! White Earth, Minn.- February 7, 2019 – Mark your calendars on the evening of February 28th through March 3rd, 2019, for the 16th Annual Indigenous Farming Conference, Aanji-bimaajitoon Gidibaajimowininaan, Revitalizing Our Story sponsored by the White Earth Land Recovery Project, and the 2nd Annual Anishinaabe Hemp Conference the day of February 28th, 2019 sponsored by the Anishinaabe Agriculture Institute and Winona’s Hemp & Heritage Farm. Confirmed presenters include Martin Reinhardt (Anishinaabe), Valerie Segrest (Muckleshoot), Reginaldo Haslett-Marroquin (Maya), Jim Chamberlin and Zachary Paige, Winona LaDuke (Anishinaabe), JoDan Rousu (Anishinaabe), Jessica Greendeer and Claire Luby (Ho Chunk), Ed Spevak, Kevin Finney, Rowen White, Elizabeth Hoover, Terry Janis, and others! 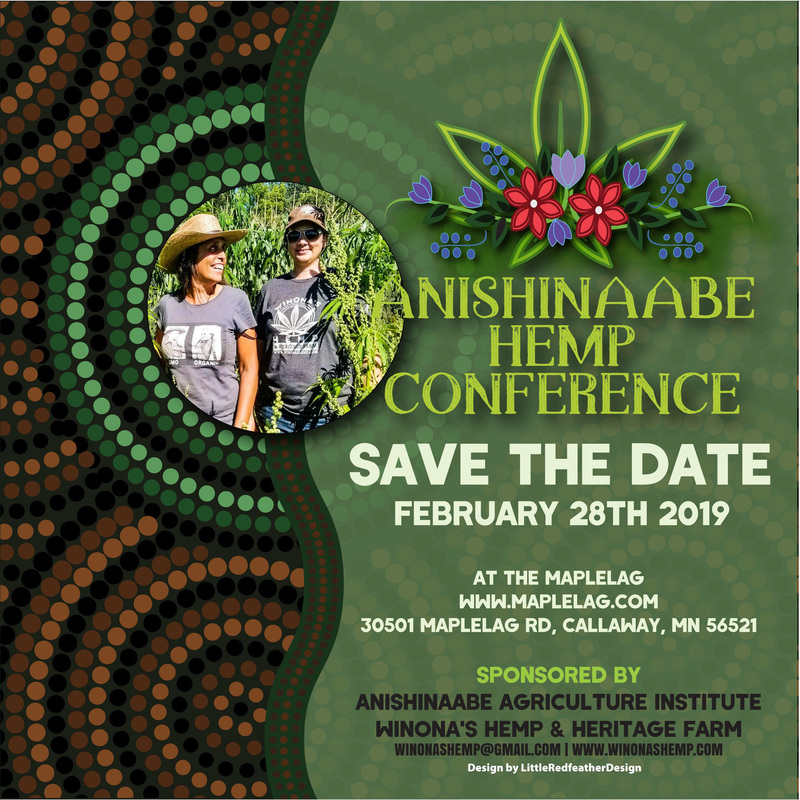 The second Annual Anishinaabe Hemp conference is sponsored by Anishinaabe Agriculture and Winona’s Hemp. The conference at Maplelag Resort, will bring together seed researchers, farmers, regulatory officials, and tribal legal and economic development programs in a one day conference. Presenters will share their work and experience. As well, demonstrations of decordicating (stripping fiber hemp to separate hurd and fiber) will be offered, and some hemp based foods will also be provided for the conference. Conference sponsors hope that this conference will provide information about this plant, which provides fiber, paper, food, medicine and energy . Hemp, has just been legalized under the US Farm Bill. “As tribes regionally begin to look at hemp, we want to provide opportunities to rebuild a hemp economy. That economy will include fiber, food and medicines,” Winona LaDuke from Winona’s Hemp said. “Minnesota used to have eleven hemp mills, we would like to see at least one of them come back, and rebuild this economy. In order to do that, we want to support and buy from local and organic producers,” she said. “This economy is about cooperation, not competition". Tribal members receive discounts to attend, lunches are separate. 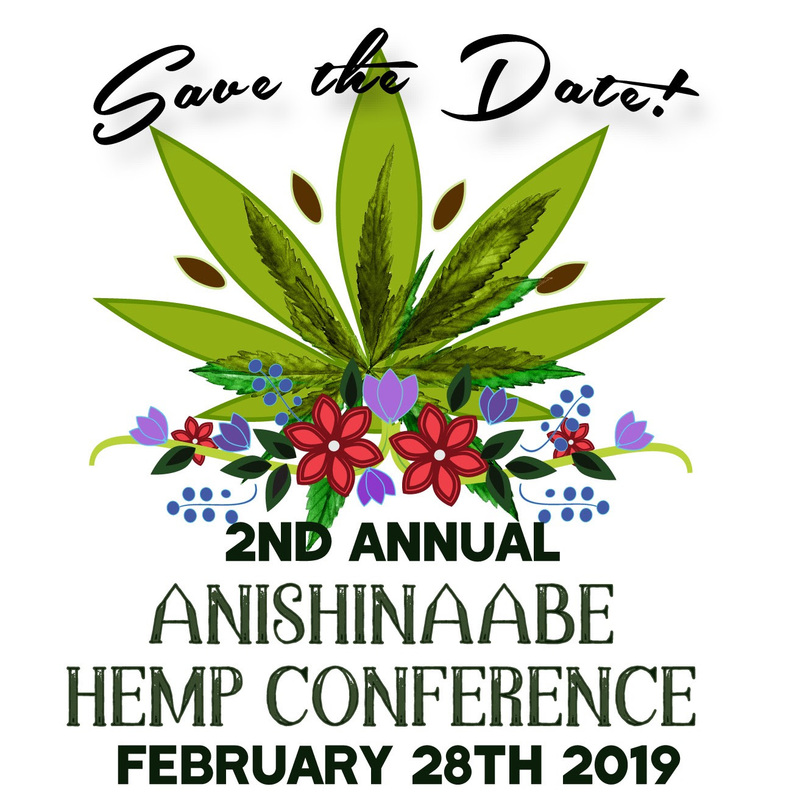 To register for the Anishinaabe Hemp Conference click here. Early bird registration for both conferences is now open on the White Earth Land Recovery Project website: http://welrp.org/ through February 8th, 2019. Registration is still open through February 22nd, 2019 at regular cost. Winona LaDuke’s Hemp and Heritage Farm with Anishinaabe Agriculture Institute will generate local wealth in our community by establishing a training institute for indigenous foods and hemp farming and working with our youth to create the next generation of Anishinaabe farmers.